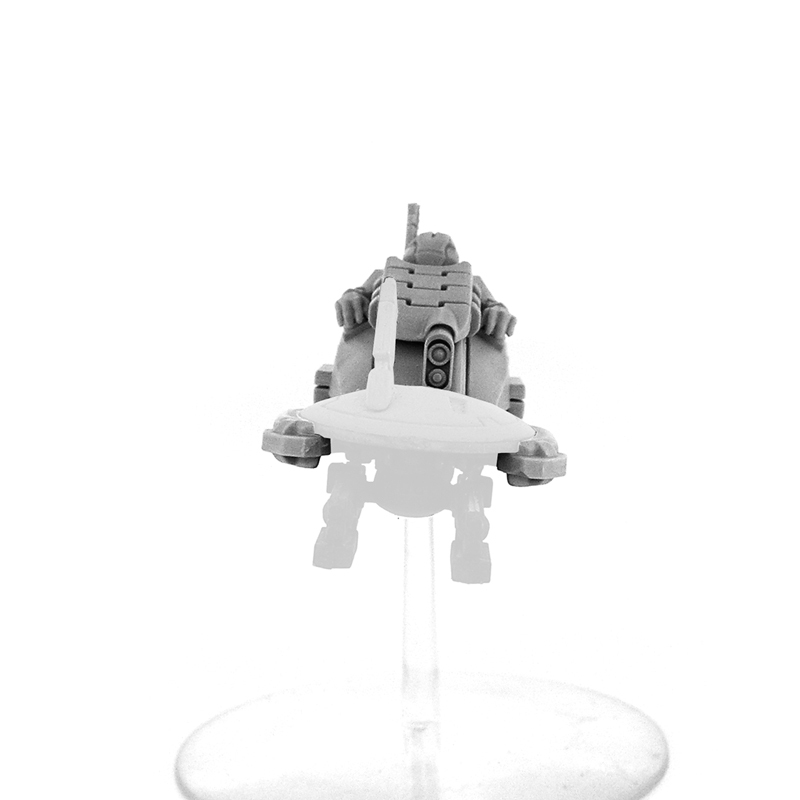 This is the 3rd model I have purchased from E.W. and once again…. OUTSTANDING!!! Great job guys! 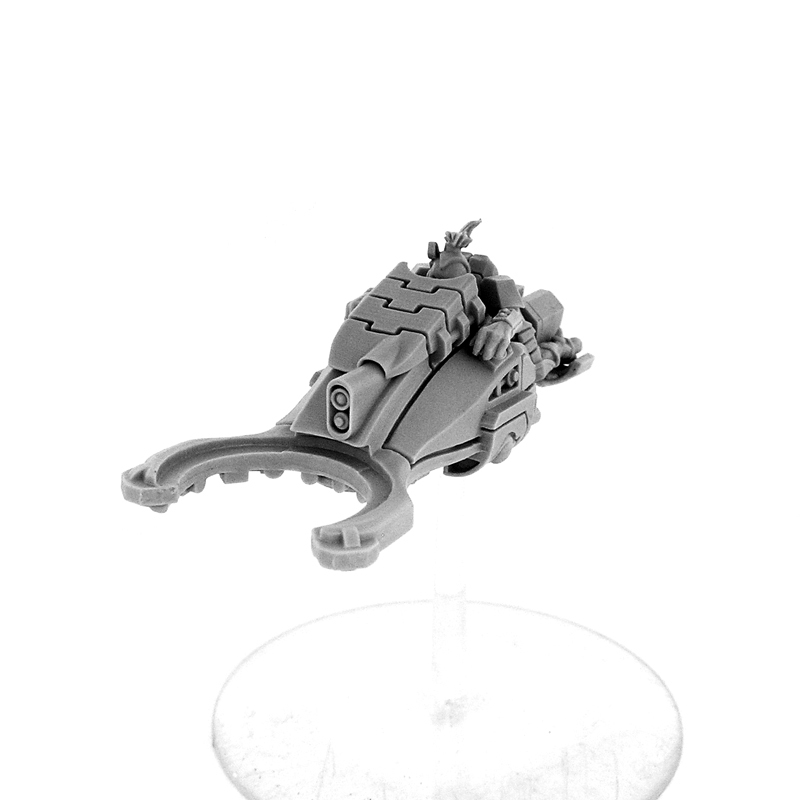 WG gun drones fit like a glove and this looks so awesome on the battlefield. 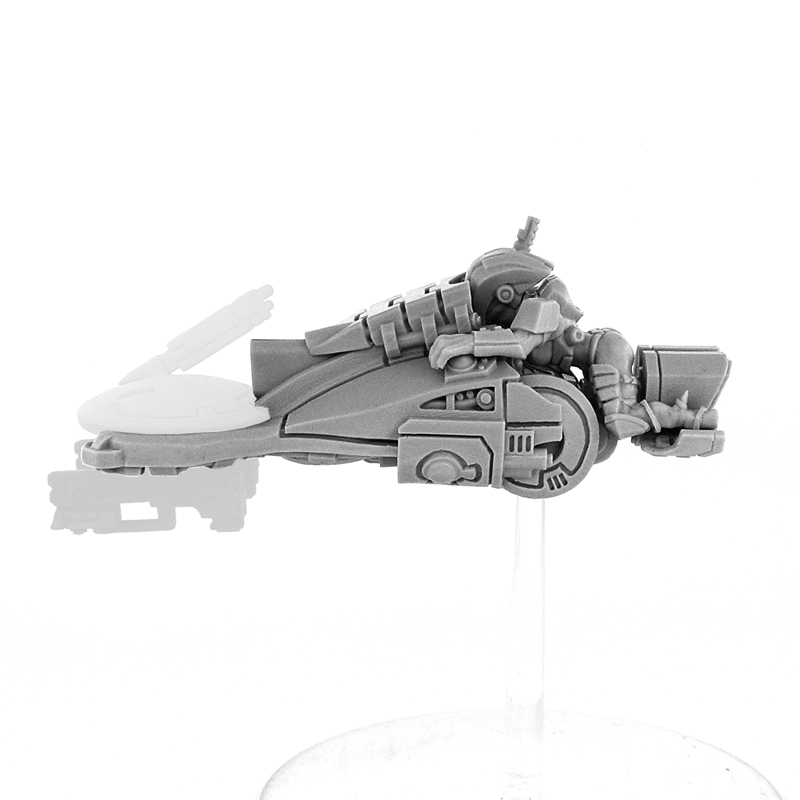 Who can’t say, that 3 gun drones don’t look cool on a “JetBike” and all that firepower is so cool! The sculpting is beautiful on this: the level of detail is incredible. 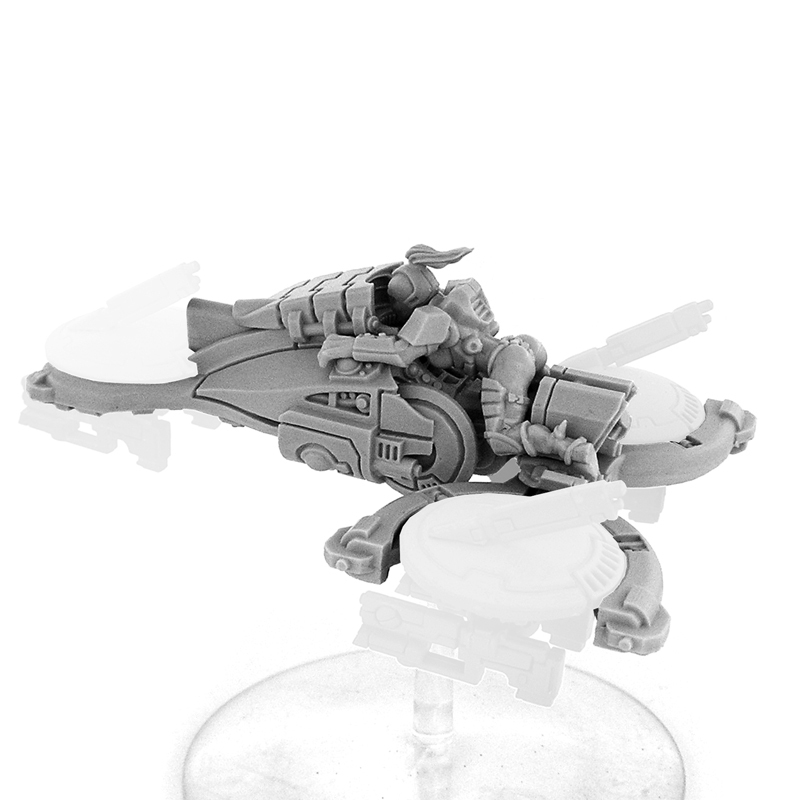 Painting on the sprue is optional on this guy. 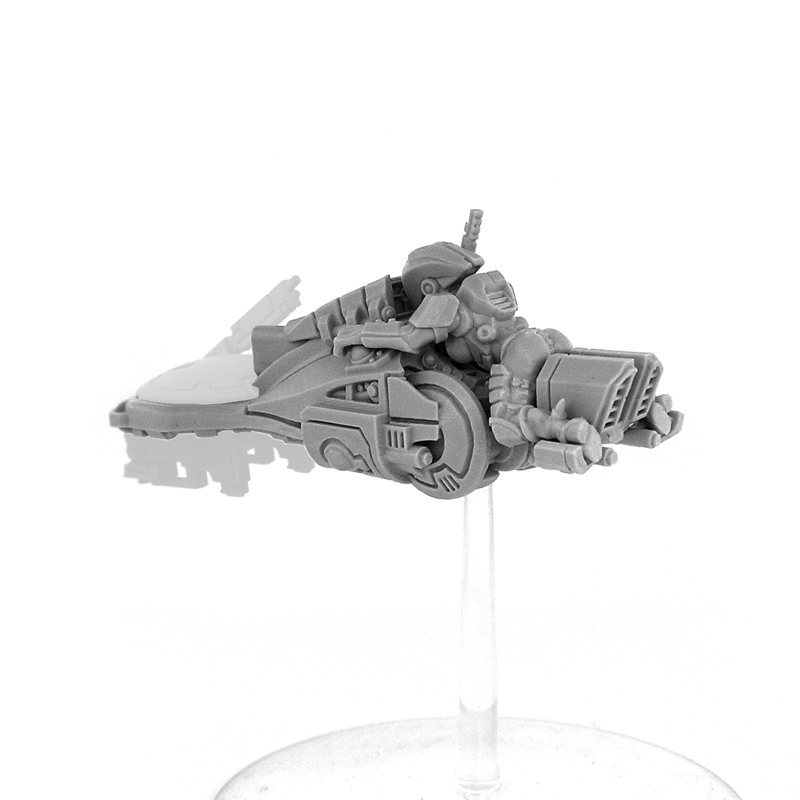 The material can be somewhat brittle in thin extrusions, so be wary of antennas, particularly on helmets and heads. Assembly took a bit of dryfitting, but there was a very refreshing lack of seam lines, and minimal, minimal flash. I have fitted WE’s gun drones, Gee-Dub’s gun drones, missile drones, marker drones, and even the range extender drone; they all fit; gluing is not necessary to keep a drone in place, which is great for versatility. 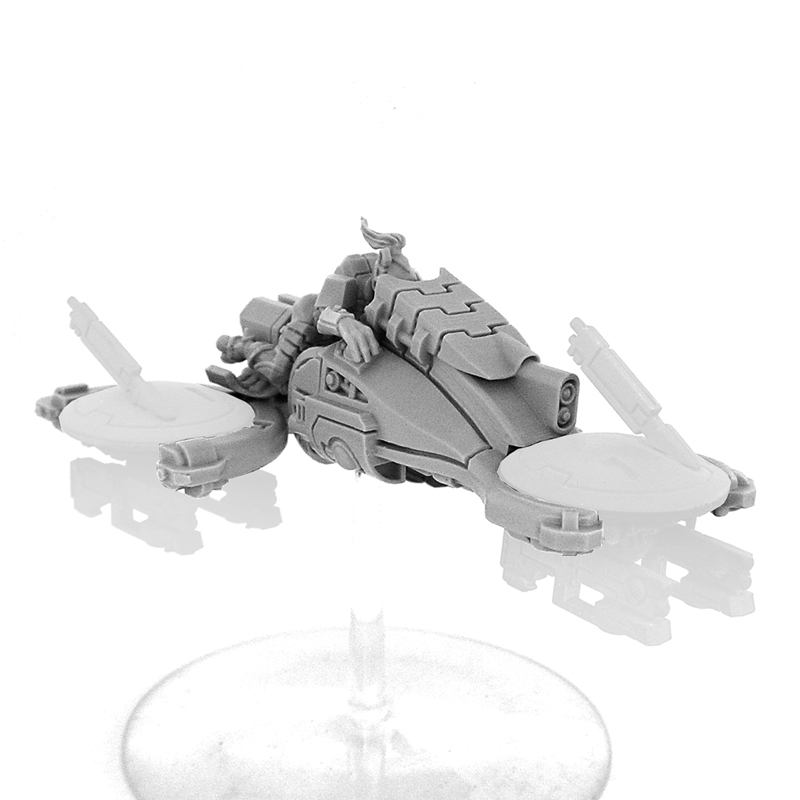 This one in particular looks just brutal with a WE gun drone up front and a pair of missile drones in back – the level of firepower a squadron of three of these could bring to bear is just giggle inducing. Speaking of gluing, for those bits that do need glue, cyanoacrylate (CA) glues work fine. 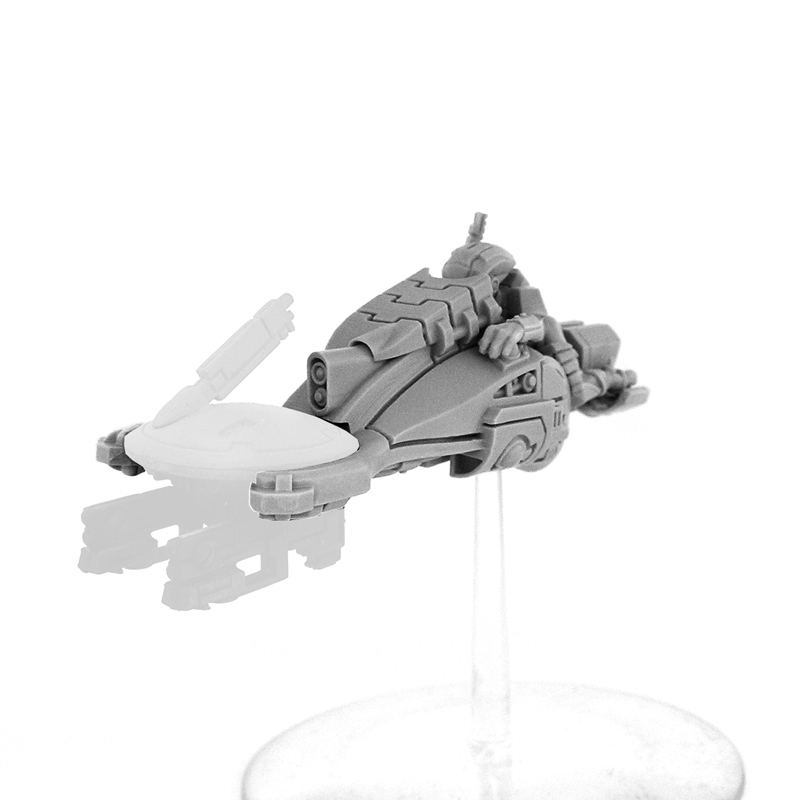 I have shown this and the other two models I have from these guys (a Missile Candiru and a two-drone Panaque) off at my bricks and mortar gaming store, and everyone is wowed. 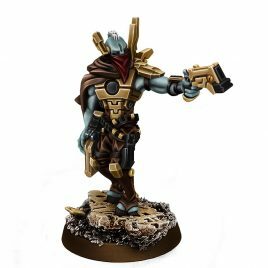 These also work very very well in games of Starfinder. Shipping times were very reasonable, considering where these come from. 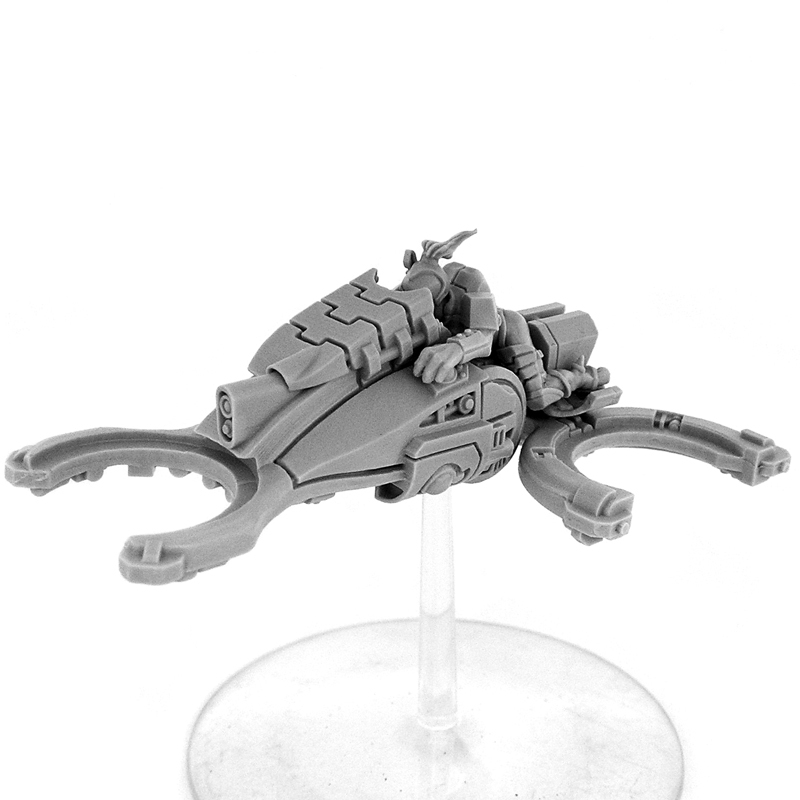 I will absolutely be ordering more; I want squadrons of these guys, because they are so rare, because it gives me something to do with a few of the fifty-odd drones I have just laying around, and the wow factor is ten plus, even unpainted. 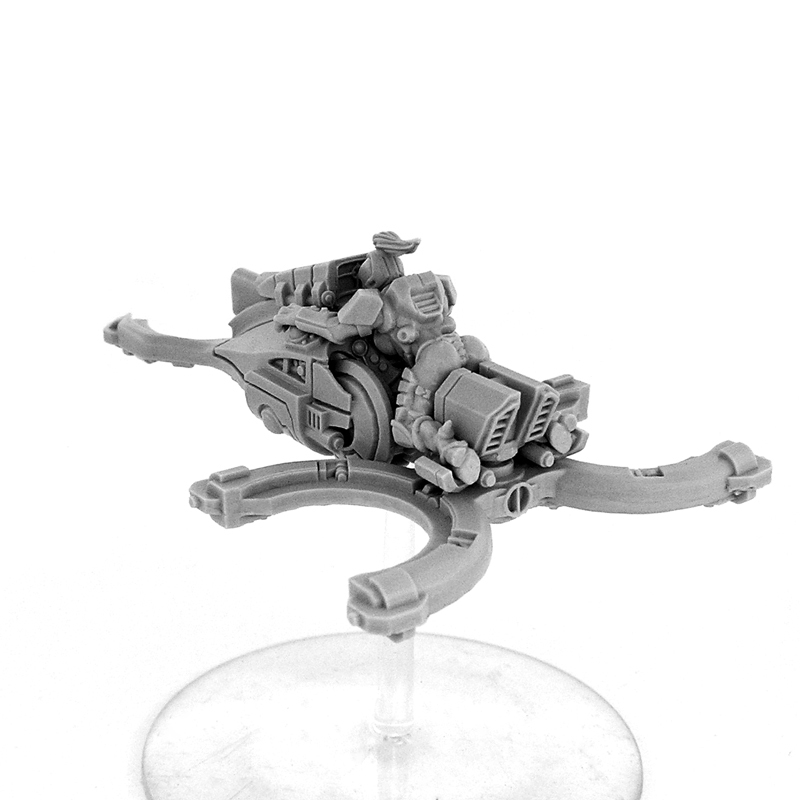 This miniature is great. 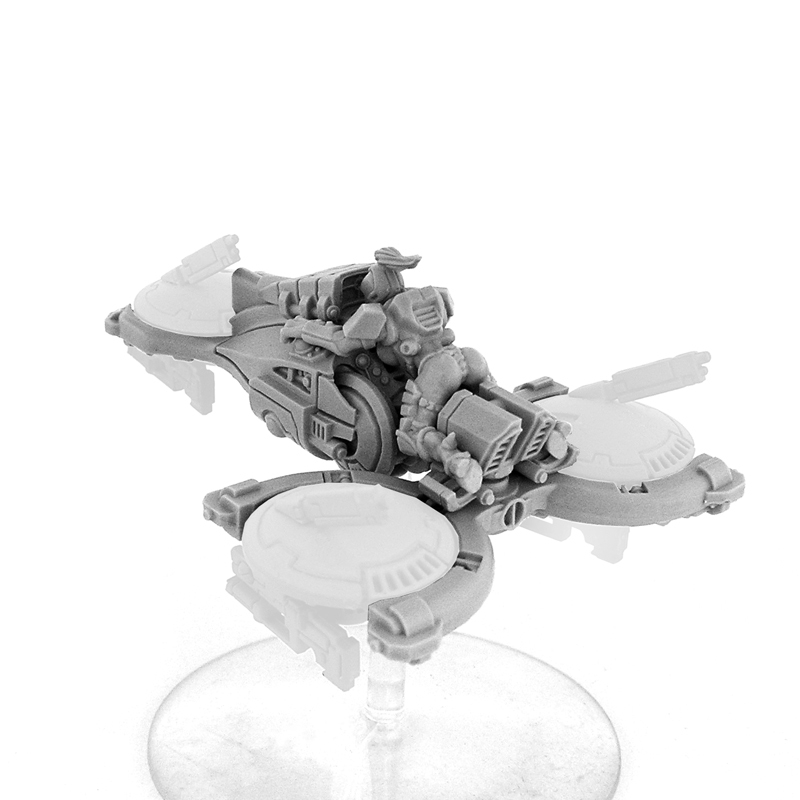 Drones from another company fit perfectly, as do the Sponson Gunners also available from Wargame Exclusive. 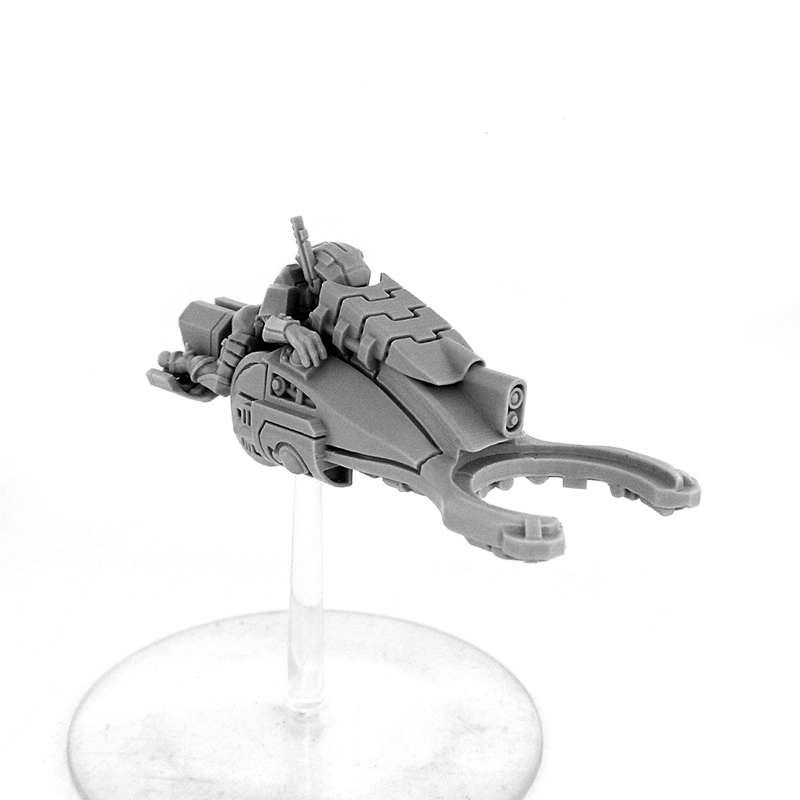 I’m using this as a Piranha, so added a burst cannon drone to the front, which looked great. The choice of heads was also useful. 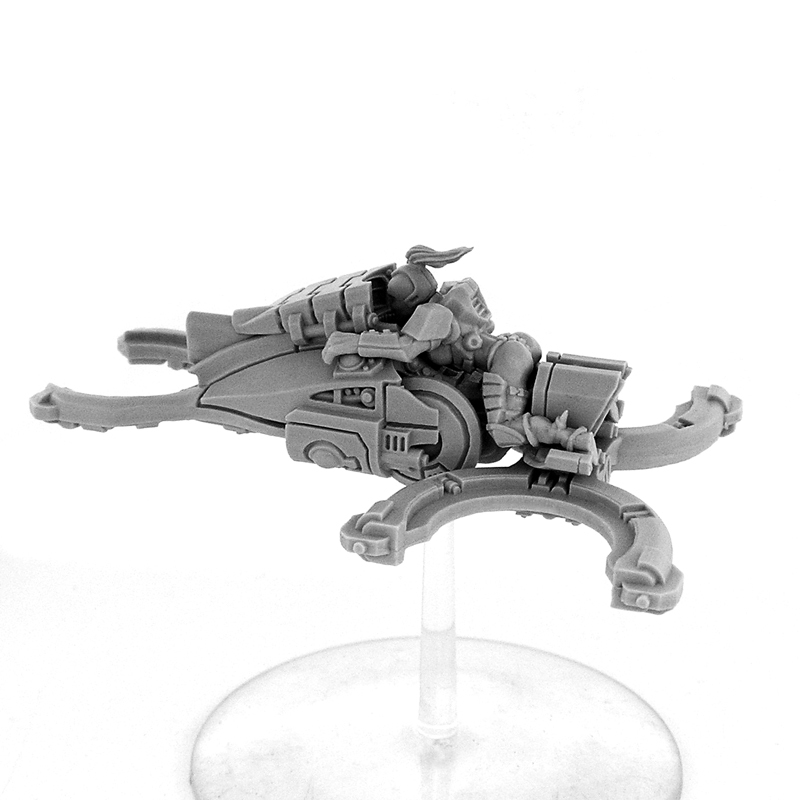 Please sell the helmeted heads separately. 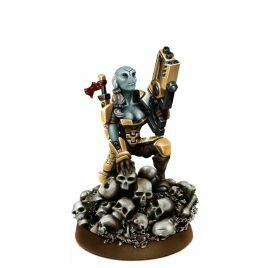 I’ve used that on one of the figures for my Breacher squad and it looks great.